How Can I Get My Case Adjourned? 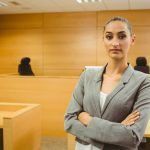 If you have a court appearance looming and you think you may need more time before you decide what you want to do, it may be possible to get your case adjourned. An adjournment means that the court will deal with your case at a later date. If you plead not guilty, your case will normally be adjourned for 6 weeks to allow police to provide the ‘brief of evidence’, which is the material they rely on to support their case against you. Of course, if you are seriously ill or have had an accident and cannot attend court, you can fax or email a letter to the court requesting the case to be adjourned. But be prepared to present evidence of your illness to the court, for example a medical certificate. Adjournments may also be granted for you to participate in rehabilitation programs such as the MERIT program – which is a 12 week program designed to address underling drug problems. If you have made an application for Legal Aid and have been refused, you have the right to appeal to the Legal Aid Review Committee. In the meantime, the court must adjourn proceedings unless the appeal is vexatious or frivolous. However, such an appeal cannot be used merely to hinder court proceedings to go ahead. For example, if you knew your court date months in advance and made no attempt to collect necessary documents before you appear in court, the magistrate may not allow you to adjourn on that basis. If you are unrepresented, the court should grant an adjournment unless there is a fault on your part; so an adjournment application to get legal representation will normally be granted. However if you have had adequate time to prepare and find a lawyer but chosen not to do so, the magistrate may be reluctant to do so. The fact that a refusal of your request to adjourn can result in procedural unfairness. A short adjournment like a few hours or a day should generally be granted. The main exception is when your case is listed for a defended hearing and all of the witnesses are present at court. In those circumstances, a magistrate may be extremely reluctant to adjourn the case. In fact, if your case is listed for a defended hearing and you are not ready, you are normally required to complete and file and ‘application to vacate’ well in advance of the hearing stating the reasons for wanting an adjournment. That application will normally be decided before the hearing date. Granting an adjournment is at the magistrate or judge’s discretion, and the court may refuse an adjournment request even if the prosecution consents to one. 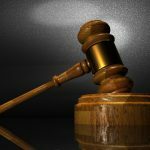 There are other options to adjourning a case – the best one is actually getting your case dropped before it even reaches the courtroom. Either you or your lawyer can write what are known as representations to the prosecution, highlighting weaknesses in their case against you. 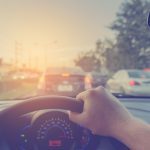 If the evidence against you is insufficient to prove beyond a reasonable doubt that you committed the offence, or was obtained illegally, the prosecution may drop the case altogether. Another alternative if you only need a few hours more time is on the day to ask for your matter to be ‘stood in the list.’ This means that your case will still be heard the same day but the magistrate will deal with other cases before getting to your’s. If you want to have your case stood in the list, it’s a good idea to approach the court officer and advise them as early as possible. Don’t wait until your case is called, as the magistrate may choose to deal with it on the spot. Exactly how much extra time this will give you is never certain, because it depends on how many other cases the magistrate has to hear that day. At a busy courthouse like the Downing Centre Local Court, it is likely that such a request will get you a few hours. What is an Annulment Application? 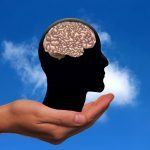 How can memory loss affect a criminal case? 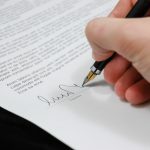 Can I Object to the Serving of a Subpoena (NSW)?